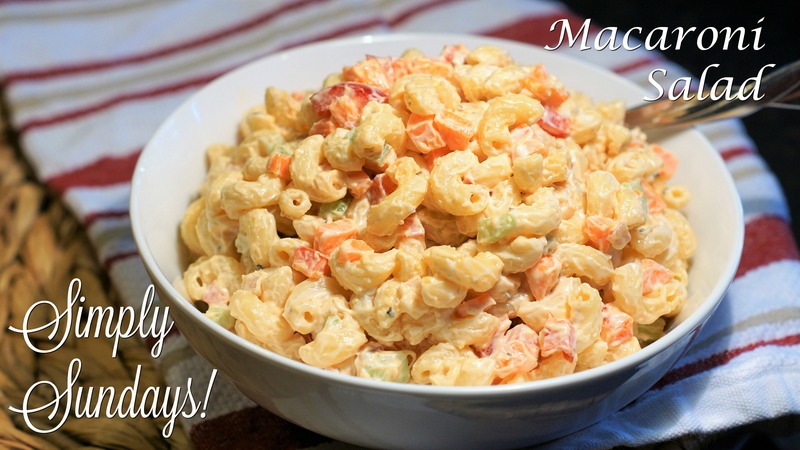 Macaroni Salad – Simply Sundays! It hasn’t quite warmed up here in the Northeast, but our daughter Marin has been asking for her favorite Macaroni Salad for the past few weeks, so here it is! Oh I love maccaroni salad!! 😉 This one looks so amazing good and so inviting!! I just thought, that it is quite a long time, that I didn’ t make maccaroni salad! 😉 Thank you so much for this inspiration!